Call of Duty: Black Ops 4 just came out three months ago, but the annual release wheel never stops turning, so we may already be getting hints about this year’s entry in Activision’s blockbuster franchise. The next Call of Duty is being handled by Infinity Ward, and for the past few weeks the studio’s senior communications manager Ashton Williams has been quietly posting teaser images on Twitter. Most of these images feature ghosts, skulls, and other macabre stuff, which would seem to indicate Call of Duty: Ghosts 2 is Infinity Ward’s next project. Ah, but let’s not get ahead of ourselves! According to Kotaku’s Jason Schreier, who is usually spot-on with his insider info, Infinity Ward is not working on Ghosts 2. So, what’s with all the spooky imagery up in Ashton Williams’ Twitter feed? The answer may involve Call of Duty: Modern Warfare 2 spoilers, so proceed with caution if you’re still meaning to get around to that eight-year-old game. Speculation is the spooky stuff is a reference to Simon “Ghost” Riley, a major character from Infinity Ward’s earlier games, who died at the end of Modern Warfare 2. If that’s the case, then Infinity Ward’s next game may be a prequel to Modern Warfare 2, or a sequel featuring a miraculously resurrected Riley. 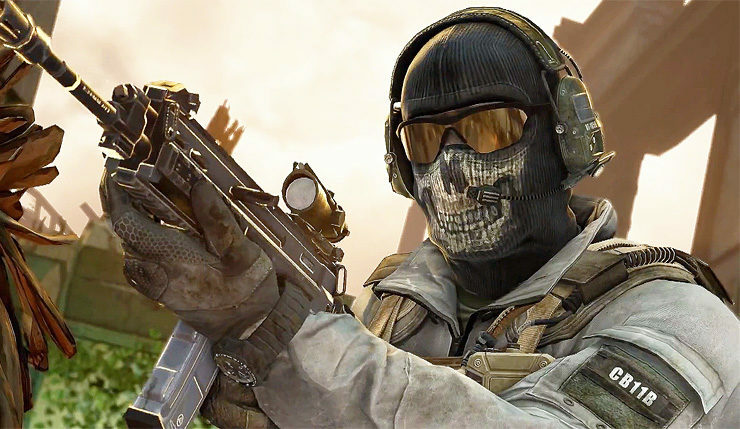 Call of Duty: Modern Warfare 4 rumors have been swirling for a while, and, reportedly, several high-profile Infinity Ward devs who moved to Respawn Entertainment to work on Titanfall have recently returned home. Word is Modern Warfare 4 will be a more CoD experience than Black Ops 4, featuring a full single-player campaign in addition to the usual multiplayer offerings. What do you think? Excited for Infinity Ward’s next Call of Duty game? Will a return to Modern Warfare make up for the missteps of Ghosts and Infinite Warfare?